Millions of tourists are now flocking to the stunning Adriatic coast and its islands in search of sun and scenery. You can see why it appeals to so many British tourists as the northern Dalmatian coast has a very Tuscan feel - with flourishing food and wine scene. Many people will be enjoying the native Croatian grapes and wines – and hope to find them in our shops when they return home. Until recently it has been hard to track down Croatian wines in the UK. There are two specialist Croatian wine importers into the UK. Pacta Connect run by the delightful and energetic Trevor Long and Judith Burns who focus in smaller family run estates and probably know more about Croatian wines than anyone else in the UK. Another good online retailer is Croatian Fine Wines which has recently changed hands now run by enthusiastic Mark Roberts. It is thanks to these two companies that holidaymakers to Pula and Dubrovnick can now try wines back home in supermarkets and winemerchants. Yet despite Croatia being an inexpensive holiday destination, wine prices are not cheap – so it is hard to find Croatian wines under £8 in the UK. Winemaking is by no means new to Croatia - with a wine history dating back to the time of ancient Greek settlers in C5BC who first planted vines here – or even the Illyrians earlier in the Bronze age in Dalmatia may have made wine. In C19 and C20 Croatia was a big player with 200,000 hectares of vineyards, but today it has shrunk to 59,000 hectares – so about double the size of New Zealand’s vineyard area. Croatia has a long history of small producers, these ‘boutique’ wineries are now being revived by immigrants returning home to re-establish their family winery or to start afresh. Good producers to look for include Misal for sparkling wines, Trapan for rose, Josic, Gerzinic, Roxanich, Kabola, Coronica and Cattunar for whites, Mateo Vicelic and Franc Arman for reds and Bodren for lovely sweet wines. Croatia has a fascinating range of native grapes. Along the thousands of kilometres of Dalmatian and Istrian coastline which benefits from a mild Mediterranean climate, the grapes you are most likely to encounter are floral white Malvazia Istarska and Muskat – as well as zesty white Posip and Grk on Korcula island and Bogdanusar on Hvar island. For red grapes look for Teran, Refosk and Plavac Mali (which is the same grape as Zinfandel). Inland Croatia has a more continental climate. Here Grasevina grape (which is known as Riesling Italico or Welshriesling elsewhere) and Chardonnay dominates in Croatia’s north east near the border with Slovenia. Heading south east of the capital of Zagreb is Slavonia (or Slavonija as you will see on the label) – nearer to the Bosnia and Hungary borders, where you are more likely to encounter Riesling, Traminer, Silvaner and red Zweigelt. 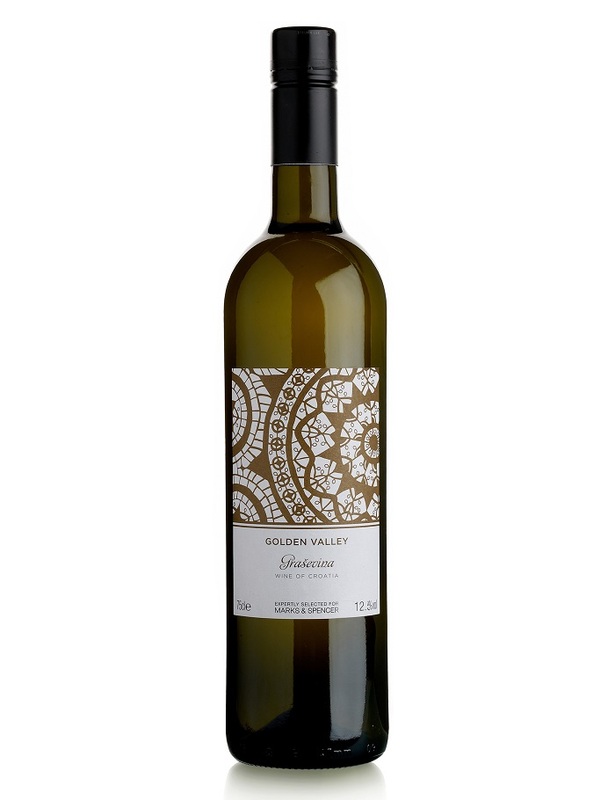 Croatian wine labels all have quality categories: Stolno refers to table wine, Kvalitetno to quality wine and Vrhunkso Vino for top premium wines. If you are searching for a dry wine look for Suho and for semi-dry look for Polusuho on the label.